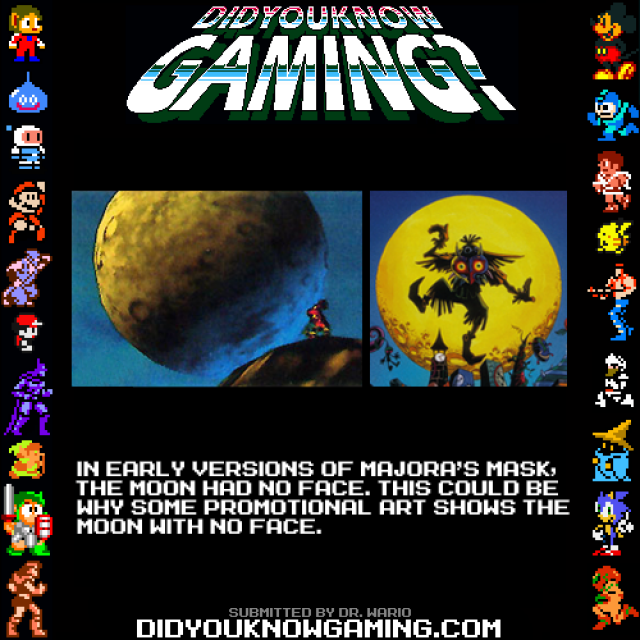 One of the most notable icons of Majora’s Mask is the moon. Whether you are playing, watching someone else play, looking at pictures, or simply talking about the game someone always mentions the moon. How could you not? It is one of the central focuses of the game. Whenever you look in the sky it is staring down at you while it gets closer and closer to Termina as the days pass by. The face on the moon adds a sense of urgency to the quest. It personifies the moon in a way that a normal moon would not have. 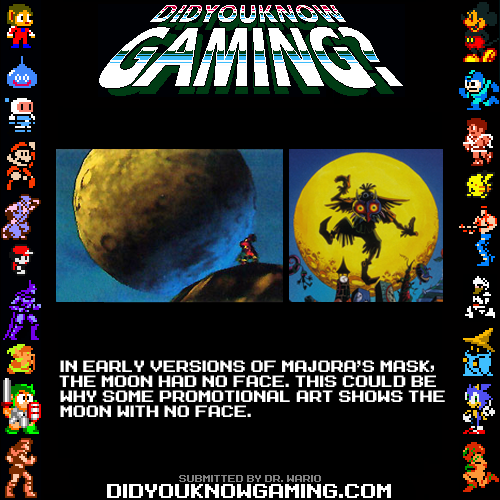 Did You Know Gaming has provided us with another Zelda fact discussing the moon in early versions of Majora’s Mask. Jump inside to read about it. Do you think the moon is made better by having a face? 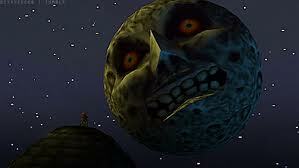 Would a moon crashing into Termina be less threatening if it didn’t? Does it not matter either way? Tell us what you think in the comments! Source: Did You Know Gaming?